Heidi Li has joined the cast of "Dongmei," a dramatic thriller about a woman walking a thin line between reality and madness. She plays the lead role. Li, who received a BFA from the Central Academy of Drama in Beijing and studied at the New York Film Academy in New York, most recently was featured in the soon-to-be-released "The Spectacular Jihad of Taz Rahim." She also stars in the new episodic comedy-drama "Yellow Fever." Li also appears on TV for the FansTang（粉丝堂）/ China Branding Group, where she is a pop culture host and reporter on the Chinese networks Tencent（通讯）, YouKu（优酷）, and Tudou（土豆）. Her assignments include red carpet events and one-on-one celebrity interviews. "Dongmei" is written and produced by Bob Messinger and is directed by Cedric Hill. Currently in pre-production, it is scheduled to begin shooting on August 1. The film is being financed entirely by a crowdfunding campaign. Sponsors of the arts are encouraged to support the project by visiting https://www.indiegogo.com/at/dongmei. DADDY tells the provocative and insightful story of a successful 40-­‐something gay man trying to reconcile his life choices with the newly available possibilities of marriage and family. Lead actor Gerald McCullouch (“CSI,” the BearCity franchise) makes his feature directorial debut from a script by costar Dan Via, who adapts and expands his acclaimed stage play of the same name. The accomplished cast also includes Jaime Cepero (NBC’s “Smash”), Tamlyn Tomita (The Joy Luck Club, The Day After Tomorrow, “How to Get Away with Murder”), Tony Award winner John Rubinstein, Mackenzie Astin (“Mad Men,” “Murder in the First”), Richard Riehle (Office Space, Bridesmaids) and Jay Jackson (“Parks and Recreation,” “Scandal”). The Montreal World Film Festival is the only competitive North American film festival accredited by the International Federation of Film Producers Associations. Star columnist Colin McCormack (Gerald McCullouch) thinks he has it all — a great job, a steady stream of hot younger guys, and a best friend, Stew (Dan Via), whose devotion he takes for granted. But when a charming and mercurial intern named Tee (Jaime Cepero) sweeps him off his feet, Colin sees a chance for something more: A family of his own. What he discovers instead is a shattering truth that may cost Colin everything — and everyone — he holds dear. By turns funny and heartbreaking, DADDY explores the universal need for love and connection, and the evolving understanding of "family" in today's rapidly changing world. Gratwick Films is launching a $100,000 crowdfunding campaign with an ambitious two-fold mission – to film Just Drive, A Tale Of A Hollywood Whistle Blower, and to raise funds to benefit national children’s charities. The company’s IndieGoGo campaign is scheduled to go live on Wednesday, July 29th. Just Drive is the fictional story of Hollywood whistle blower, Tony DiFranco, who must choose between his life and his legacy when a clandestine power conspires to end his ride. This dramatic thriller explores the dark side of money, power and ambition. Key players involved in the film’s production include Kris Hulbert (The Perfect House), Milton Santiago (Star Trek:Axanar), and Frederik Weidmann (Hostel 3). To reach its goal, the company has partnered with From the Heart Productions, allowing Gratwick Films to accept tax-deductible charitable donations under the umbrella of a 501(c)(3) corporation. Some of the notable perks donors can receive include VIP tickets to the film’s premiere, the option to select a tour city, producer credit, and the ability to hang out on set during principle photography. Through the filmmakers commitment to transparency, fans also have the opportunity to particpate in every aspect of the filmmaking process, including casting and production meetings. Through a combination of compelling storytelling and social activism, Gratwick Film is on a mission to pioneer a social filmmaking model through the development of an interactive fan base, while creating thought-provoking films that promote positive societal change. New Enzo Crotti Classical Guitar Video: "Wondorian Dance"
It is now available the video of the song "Wondorian Dance", released July 10, 2015, a piece of music composed and played the classical guitar by Enzo Crotti. The piece is inspired by the modal music and folk Spanish and Mediterranean. The tuning range for the recording is 432 Hz, for a more natural sound, and the harmonies are derived from Dorian scale, typical of some jazz tunes such as "So What" by Miles Davis. The video features scenes of dancing shades of orange, which is also the color of the second chakra, an important energy center that covers the sexual sphere, which is why there are also scenes of sensual dance of the veils. Enzo Crotti is happy to announce the publication of "Wondorian Dance", the new music video for classical guitar available on You Tube and on the major platforms of video streaming. Jonathan LaPoma announced today that his multi-award-winning feature-length screenplay A Noble Truth is available for purchase in various electronic formats on Amazon.com and on the Laughing Fire Press website. A Noble Truth has won twelve awards/honors at various international screenwriting competitions since 2013, and is ranked in the top 5% of the over 2,500 feature-length screenplays listed on the international screenwriting website MovieBytes.com. A Noble Truth follows two estranged best friends, one a once-rising songwriter who mysteriously quit the music scene to return to his hometown of Buffalo, NY and work as an ice-machine repairman, and the other a Columbia Journalism School dropout, who take a road trip throughout the US and into Mexico to write a book about what truths unite people in a modern world slipping deeper into apathy and discord. But it’s soon evident that on this quest for truth, truth is the last thing either man seeks. A Noble Truth won first place in both the 2014 Awareness Film Festival and the 2014 West Field Screenwriting Awards (The New York Award), and can be described as Easy Rider meets Good Will Hunting. “A Noble Truth is a powerful and poetic coming-of-age drama, and I’m thrilled that Laughing Fire Press has chosen it for publication,”said LaPoma. Laughing Fire Press is one of many independent presses and groups concerned with raising public awareness about the social, political, cultural, economic, and ecological issues in today’s world. Jonathan LaPoma is an award-winning screenwriter, novelist, songwriter, and poet from Buffalo, NY. His five feature-length screenplays have won over 40 awards/honors in various international screenwriting competitions since 2013, including the Grand Jury Prize in both the 2014 Hollywood Screenplay Contest and the 2015 Las Vegas Screenplay Contest, the Grand Prize in both the 2014 London Film Awards and 2015 Las Vegas Screenplay Contest, and first place in both the 2014 Awareness Film Festival and 2014 West Field Screenwriting Awards (The New York Award). His novelDeveloping Minds: An American Ghost Story, which will also be published by Laughing Fire Press in September 2015, is a finalist in the 2015 Stargazer Literary Prizes for best Visionary and Metaphysical Fiction. LaPoma typically writes character-driven dramas that blend equal parts darkness and humor, and his work often explores themes of alienation and misery as human constructions that can be overcome through self-understanding and the acceptance of suffering. He lives in San Diego, CA. For more information, visit www.jonlapoma.com. The deal--which will facilitate the financing and production of 5-10 films per year--includes "She Rain" (an adaptation of Cogdill's acclaimed novel of the same name), the sci-fi actioner "Starborn" (based on the book by S.C. Megale), a biopic on the life of Sabrina Greenlee (the woman who overcame an attack which left her blind and disfigured to lead her son, DeAndre Hopkins, to a successful career in the NFL), and the fantasy yarn "The Wizard of Seattle" (from the novel by perennial New York Times best-selling author Kay Hooper). Lost Colony is a New York City-based motion picture production company established by filmmaker Richard O'Sullivan in 2001. HeartStrong Media is the production company of 29-time Emmy-winner and National Edward R. Murrow recipient Michael Cogdill (NBC, CNN). Vrai Moi is the production company of producer Sandra Rayne Garcia. Sunn Classic Pictures, veteran producer/director Mr. Lang Elliott, is gearing up to produce, distribute and reboot films from its library. One of the most popular properties in the library is the film based on the Stephen King book entitled “Cujo” that starred Dee Wallace Stone in Sunn’s 1983 motion picture version. The reboot C.U.J.O. stands for Canine Unit Joint Operations. The screenplay has been completed and development is underway. Sunn Classic Studios executive Myra MacKay manages U.S. actor/producer DJ Perry who has carved out an international following from his numerous films. Most recently Perry co-starred and produced “Ashes of Eden” that will release worldwide with Lightworx Entertainment in October 2015. Playing theaters now is the thriller “Bestseller”based on the book by Christopher Knight. Perry again produced and co-starred and slated for a Christmas 2015 theatrical with Lightworx Entertainment is the biblical drama “40 Nights” where DJ plays Jesus. These projects showcasing DJ Perry caught the interest of Sunn Classic Pictures who would like him to participate in some of their in-studio projects including the upcoming C.U.J.O. film. Lang Elliott is set to direct. Following last year’s wildly successful “Making Monsters” stage panel, ScareLA, the first West Coast Halloween convention, is excited to announce its sequel presentation – “Making Monsters: The Art of Terror” to take place on August 8, 2015 at 1:30 pm at the Pasadena Convention Center. Hosted by Rick West, Programming Producer for ScareLA and Founder and Editor of Theme Park Adventure, the panel will bring together art directors from Southern California’s largest Halloween attractions: Knott’s Scary Farm, Universal Studios Hollywood’s Halloween Horror Nights, Queen Mary’s Dark Harbor, and Six Flags Magic Mountain Fright Festto discuss the creative process behind each haunt. This all-star lineup of haunt industry royalty is sure to be one of the highlights of ScareLA 2015, signifying only the second time anywhere that SoCal’s biggest Halloween attractions have come together on one stage in a show of support and unity, representing some of the the biggest Halloween events in the world. Lara Hanneman will represent the granddaddy of all park haunts, Knott’s Scary Farm; JJ Wickham will reign from the fog of Queen Mary’s Dark Harbor; Mark Wing will creep out of the shadows of Valencia and represent Six Flags Magic Mountain Fright Fest; and Chris Williams will shed some light on the gruesome underside of Universal Studios Hollywood’s Halloween Horror Nights. Haunted attraction art directors play a key role in designing and developing the look and feel of ‘scare zones’ entertaining millions in Southern California each fall. From facades to individual scenes and more - art directors guide and build large teams to ensure the utmost quality of every facet of the experience. In addition to hosting representatives from each top attraction, ScareLA is pleased to announce that major presentations by Knott’s Scary Farm, Queen Mary’s Dark Harbor, Six Flags Magic Mountain Fright Fest, and Universal Studios Hollywood’s Halloween Horror Nights will be on tap throughout the weekend during ScareLA, giving fans non-stop thrills and excitement from morning till night. For more information and tickets, visit www.scarela.com. Follow ScareLA on Twitter, Periscope,Facebook, and Instagram. The Devil is coming!!! Word on the street is that the new Pepitone brothers comedy The Jersey Devil has inked a deal and will be landing on screens and in your living room October 2015. This film was brilliantly compounded and the acting is superb. A must see for all comedy fans. The Jersey Devil has our stamp of approval. Groundbreaking, original and moving, unlike anything you've seen before. Don't pass up on this one! THE JERSEY DEVIL TO BE RELEASED WORLDWIDE OCTOBER 27TH 2015! 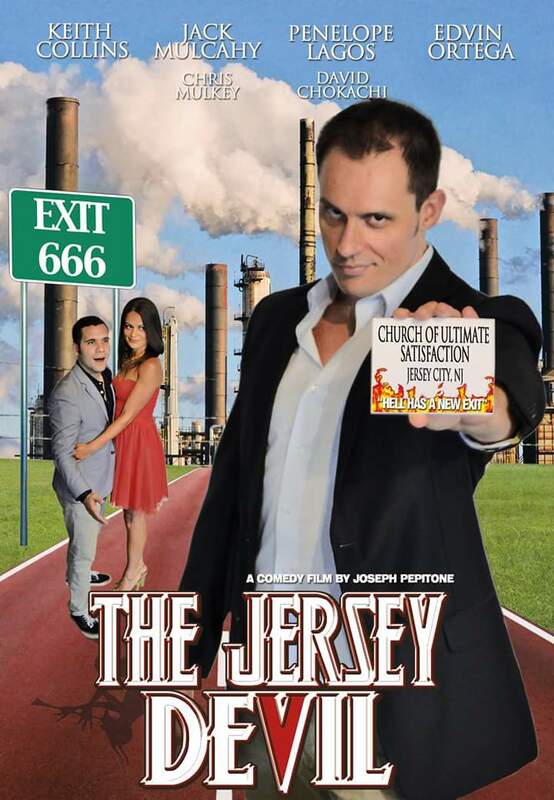 Award-winning comedy film "The Jersey Devil" is aiming to give the comedy genre one "HELL" of a ride! Humanity Pride Productions, Green Light Films, Diamond Jesus Productions have signed with Shami Media Group, Inc. and are pleased to announce the official release of the multi award-winning comedy film, The Jersey Devil! 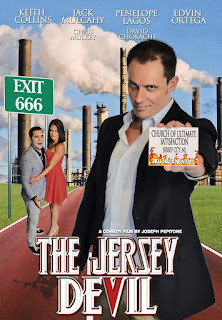 Straight from the CHURCH OF ULTIMATE SATISFACTION, "The Jersey Devil" is set to make its mark in the comedy world with Shami Media Group, Inc., a distribution, marketing, and media leader in worldwide film distribution, recently acquired the film and has set a official worldwide release date of Tuesday, October 27th 2015. Sham Media Group is led by film veteran Bob Shami. With over 15 years of film distribution, their movies are currently found in retailers such as, F.Y.E., Best Buy, Tower, Barnes & Noble, Amazon, Sears, Kmart, MVD, Walmart, Target, Frys, Baker & Taylor, Red Box, iTunes and Netflix. They will now be adding "The Jersey Devil" to their catalog of outstanding films. "The Jersey Devil" Stars:: Chris Mulkey ("Captain Phillips","Boardwalk Empire"), Keith Collins ("The Meat Puppet","Gravedigger") David Chokachi ("Baywatch") Jack Mulcahy ("Brothers McMullen", "Porkeys") Edvin Ortega ("Orange is the New Black"), Penelope Lagos("Stuck in the Middle"). "The Jersey Devil" was the recipient of three awards at the 2014 Downbeach Film Festival Atlantic City Cinefest including Best Comedy Feature. The world premiere was held at the historic Loews Landmark Theater in Jersey City, NJ which attracted a crowd of over seven hundred people including celebrities, press and politicians. "The Jersey Devil" is directed by two-time New York Emmy winner Joseph Pepitone ("Stuck in the Middle"). Written by, Joseph Pepitoneand Billy Pepitone. Executive Producers are Jersey City’s own Michael Billy, Jarl Haugedal and Dorothy Fucito. Produced by Debbie Philips, Charles Anastasia, Larry Salvato, John Camera, Frank X. Sepe, Jessica Pell, Kimberly Clemente, Jeff Quinlan, Keith Collins, Ed Luster, Jay Andriani and Joseph Pepitone.